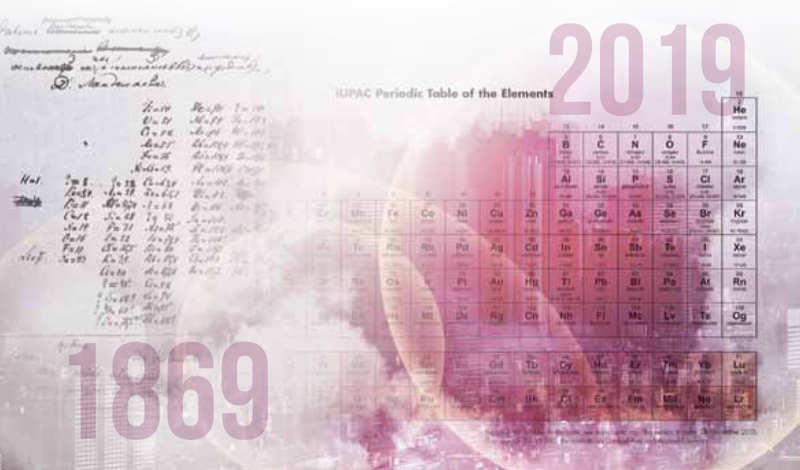 The International Year of the Periodic Table of the Chemical Elements coincides with the Centenary of IUPAC (IUPAC100). The events of IUPAC100 and of IYPT enhance the understanding and appreciation of the Periodic Table and chemistry in general among the public. 1869 is considered as the year of discovery of the Periodic System by the Russian chemist Dimitry Mendeleev. With 2019 marking the 150th anniversary of the Periodic Table of Chemical Elements, the United Nations Educational, Scientific and Cultural Organization (UNESCO) has designated 2019 the International Year of the Periodic Table of Chemical Elements (IYPT). 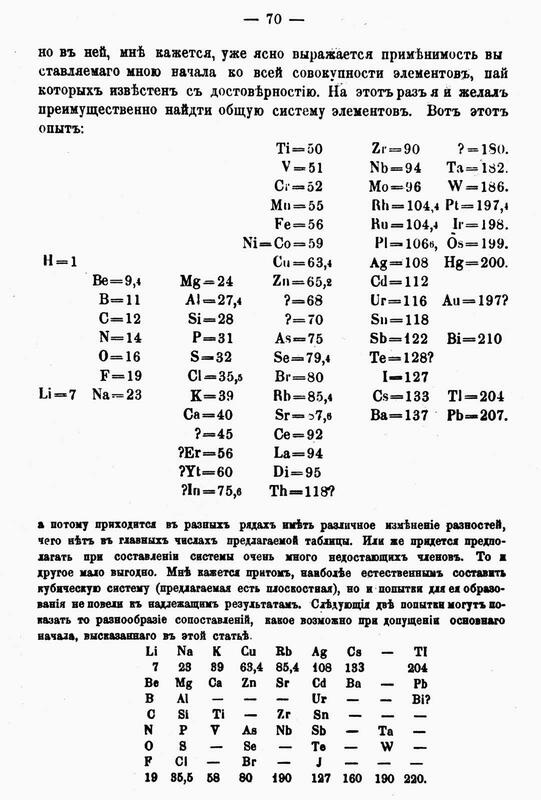 The origins of the periodic table go back to Dmitri Mendeleev. Faced with the discovery of an ever-increasing number of elements to replace the four credited in Medieval times, it was clear there was a need to find a way to organize them. Mendeleev’s structure was based on similarities in chemical behavior. He used it to predict the properties of then-unknown elements in the gaps, a tradition many chemists followed. Although the reasons for the table’s patterns were then unknown, the recognition of their existence helped lead the way to the explanation in the form or the behavior of elements’ valence electrons. The development of the Periodic Table of the Elements is one of the most significant achievements in science and a uniting scientific concept, with broad implications in Astronomy, Chemistry, Physics, Biology and other natural sciences. Chemical Elements play a vital role in our daily lives and are crucial for humankind and our planet, and for industry. The International Year of the Periodic Table of Chemical Elements will give an opportunity to show how they are central to linking cultural, economic and political aspects of the global society through a common language, whilst also celebrating the genesis and development of the periodic table over the last 150 years. It is critical that the brightest young minds continue to be attracted to chemistry and physics in order to ensure the next generation of scientists, engineers, and innovators in this field. Particular areas where the Periodic Table and its understanding have had a revolutionary impact are in nuclear medicine, the study of chemical elements and compounds in space and the prediction of novel materials.